Fall asleep to the sound of the ocean! Recently remodeled single home. 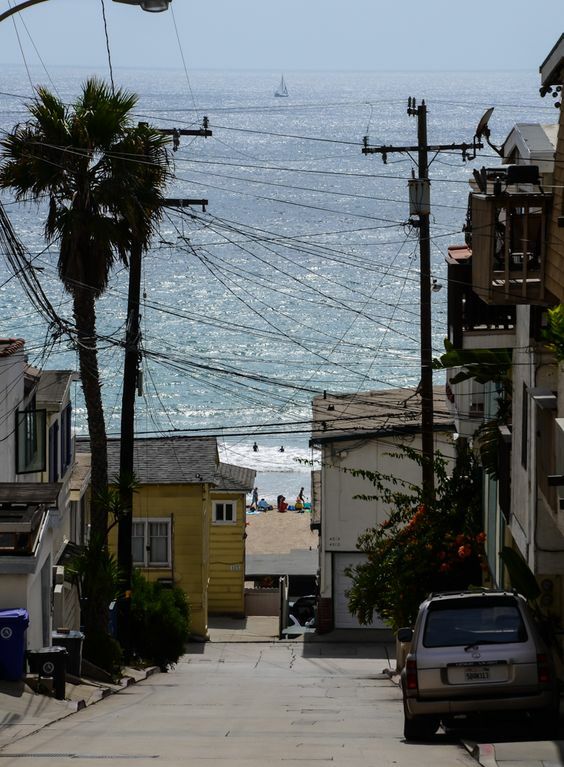 Half block to the famous El Porto surfing beach. Walk to restaurants, shops, coffee houses, and pubs! Or BBQ and relax on the deck. 2 level home with a den and 2 bathrooms. There is a bedroom and bathroom on each floor. The den is on the bottom floor with a separate entrance. Perfect for families, couples, friends! Centrally located, just 10 minutes from LAX. Surfs up!! We had a wonderful stay at your place in lovely MB. We really enjoyed how close it is to the beach (a two minute walk). Great location, comfortable bed, and nicely decorated - we'd love to stay here again. Lovely hone with everything you could need for a beach getaway. Great setup with 2 separate floors 1 for the kids and the 1 for the adults. Plenty to do within walking distance-beach-shops-restaurants. We will be back! Very clean and relaxing home walking distance to beach ( 3 minutes), and restaurants my wife and I had a wonderful time in this house. had all the comforts of home . Grand kids enjoyed visiting us they had a wonderful time. and we definitely RECOMMEND staying here and we will be returning again. good for two families for it is very spacious with the upstairs and downstairs . Thank you again for letting us stay in your home and making our vacation fantastic !!! This is a nice property a 5 minute walk to the beach. The only downside is parking. We had 2 cars, 1 a van and that was difficult to squeeze in. Other than that, lovely. Great location! This place is down the street from the beach! Very clean, spacious and comfortable. WiFi was provided to us! I would definitely recommend this place. I would stay here again! Thank you Karen, I hope you do come back! What a wonderful house for our weekend girls trip! Four of us gathered for a getaway and thoroughly enjoyed the easy proximity to beach and town. The house itself is perfectly located a block from the beach and has a front porch that affords a view over the water. Inside had more than enough space for the four of us with two full bathrooms and a great kitchen. We just cabbed in and out of town which meant we parked our cars and never moved them until we left. The hostess is incredibly responsive and kind. We hope to make repeat appearances at this property!